Although it is a bit off in the future, I wanted to let you all know that I will be back in Southern California again on December 8th, speaking at the Merage Jewish Community Center of Orange County. 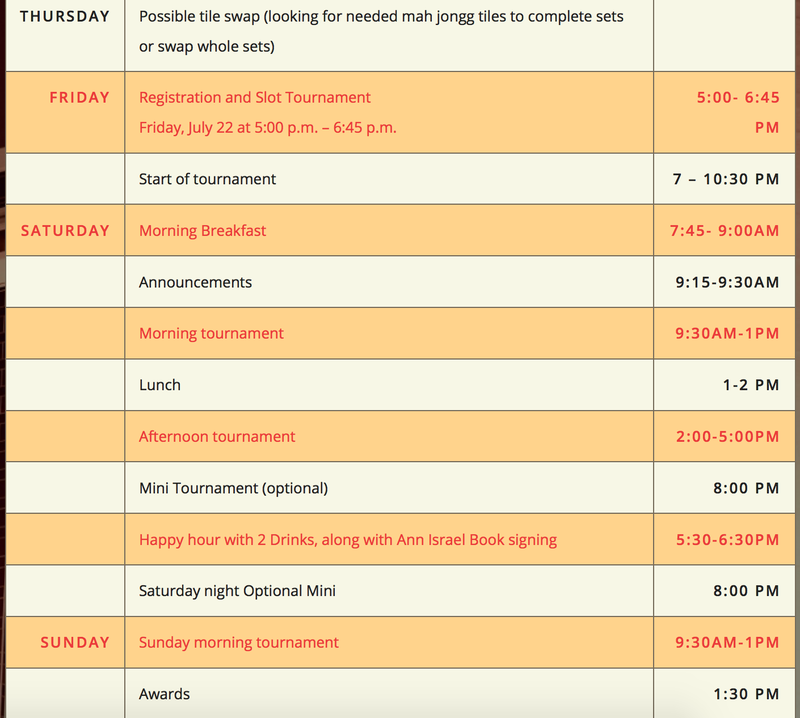 I hope you will join me for a day filled with Mah Jongg fun! 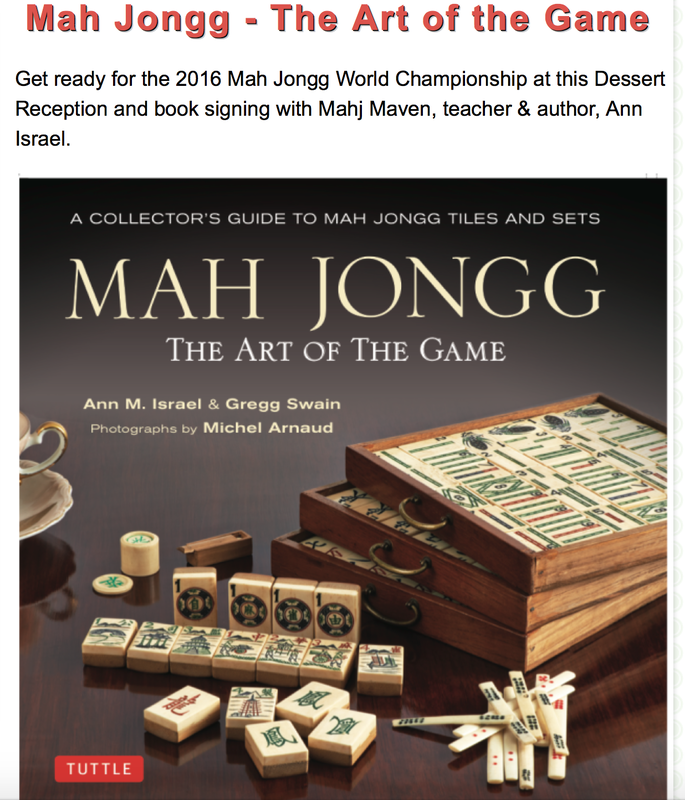 This entry was posted in Mah Jongg and Me and tagged author, historian, mah jongg, mahjong, Merage Jewish Community Center, Orange County, The Art of the Game on October 20, 2016 by Mah Jongg and Me. From Anchorage, Alaska (get it? so cool…) comes this wonderful photo from our friend JoAnn. 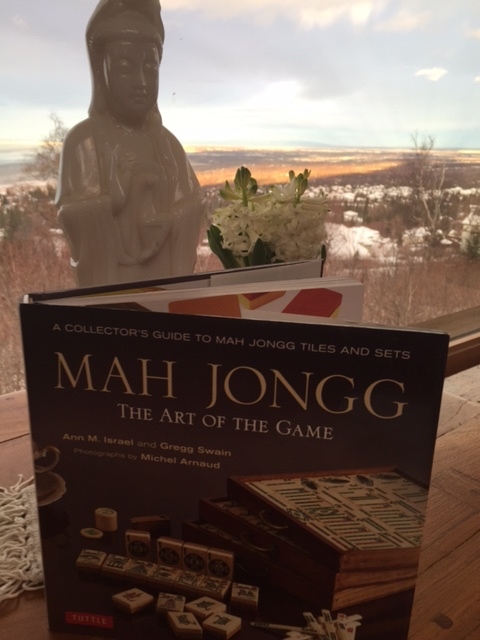 I am thrilled that our book, Mah Jongg The Art of the Game, can be found everywhere!!! 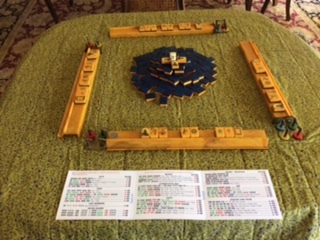 This entry was posted in Mah Jongg and Me and tagged Alaska, Anchorage, mah jongg, mahjong, The Art of the Game on January 31, 2016 by Mah Jongg and Me. TRULY THE “ART” OF THE GAME! Our friend Diane G. sent me an email describing her artistic interpretation of the game. Love these photos and Diane’s explanation! “Another fun way to greet our mahj friends. 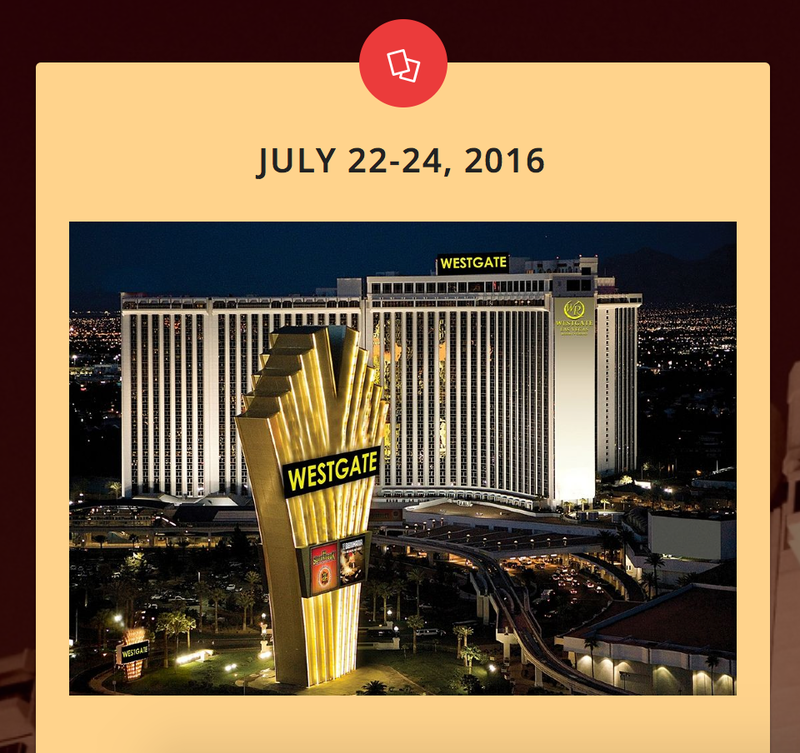 This entry was posted in Mah Jongg and Me and tagged mah jong, mah jongg, mahjong, The Art of the Game on July 24, 2015 by Mah Jongg and Me. 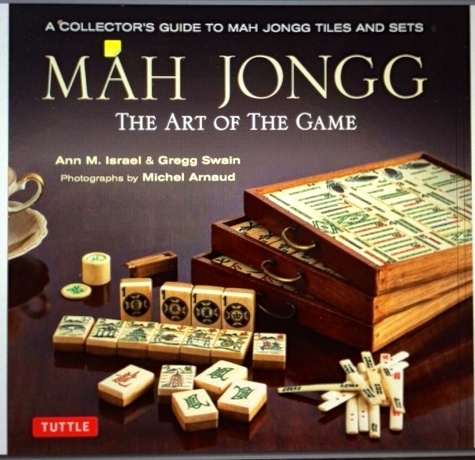 This entry was posted in Mah Jongg and Me and tagged Charles E. Tuttle, Jakarta, Japan, Mah Jong for Beginners, mah jongg, North Clarendon, Rutland, Singapore, The Art of the Game, Tokyo, Tony Watson, Tuttle Publishing, Vermont on September 8, 2014 by Mah Jongg and Me. ANNOUNCING THE PUBLICATION OF MY NEWEST BOOK! have photographs by the incredibly gifted Michel Arnaud. Sweet set! Have a closer look, the all green painted bamboo tile has 6 pieces of bamboo, the bamboo pieces just are not separated. 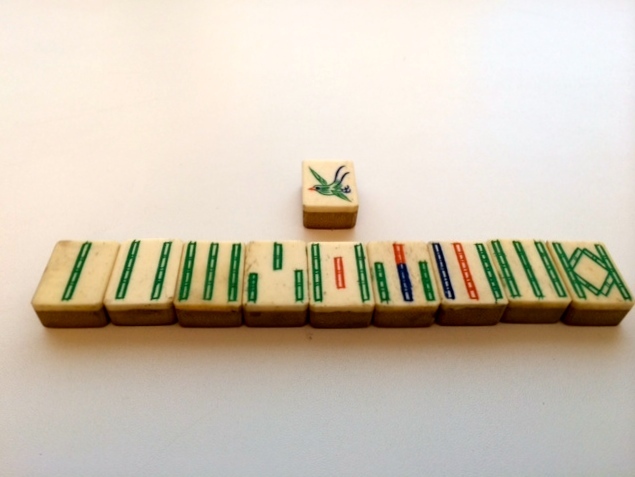 The bamboo tile with the red, blue and green has 9 pieces of bamboo, also no separation in the bamboo pieces. Just count the lines and you can tell the 6 bam from the 9 bam. In this case it is just a little bit harder to see, the different color in the paint sure helps. Patterson if you have an interest. originally started teaching. 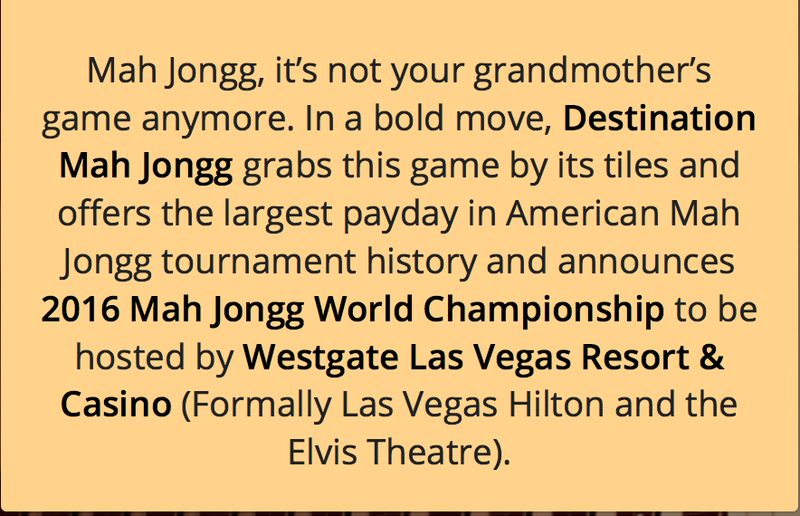 It is an entirely different game of mahjong than League style. There are no jokers, legal hands are listed in a book which generally does not change more than every 5-10 years. It is not played with flowers in the hands, but the flowers give bonus’ and the scoring system is like the complex Chinese scoring system. 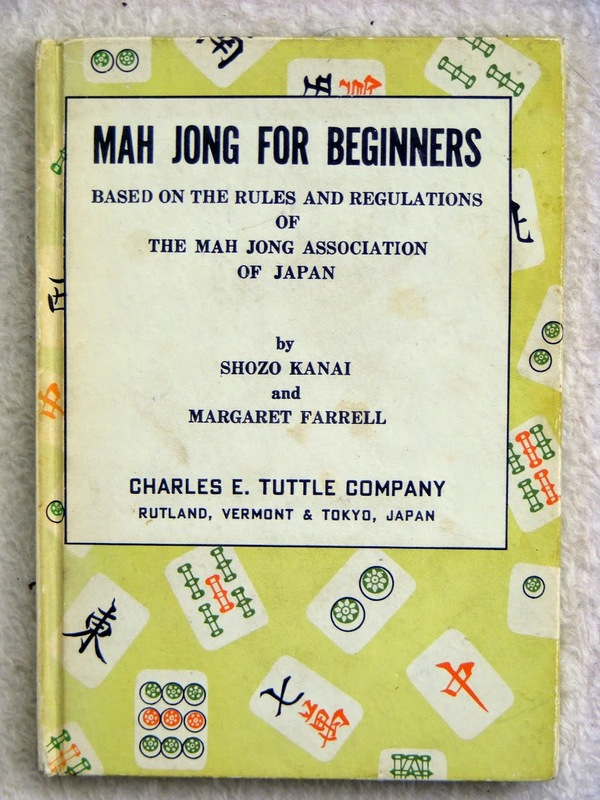 I believe WP is the game imported to the US originally – that first popularized mahjong in the USA – so it is probably mahjong American style about 1914-15. Now, I believe it is quite popular with the various branches of armed forces because of its long length uniformity. 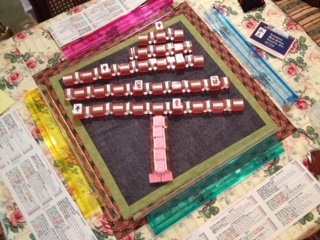 Wherever one is stationed, you will play mahjong the same with very few changes occurring. 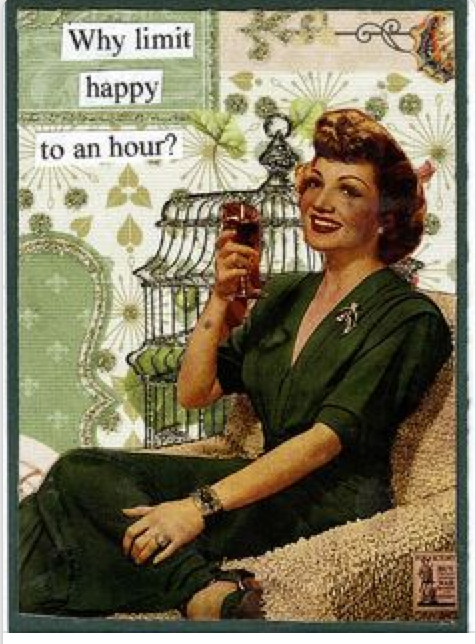 (No new card every year). The problem with this style-no matter how interesting, is that few people realize it exists. No one really plays it unless you have some exposure to a base or are from the south. I learned it from a southern army brat because it was the game of the officers wives and she learned from her mother. 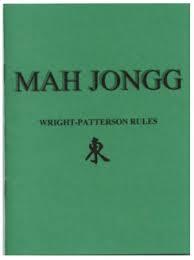 This entry was posted in Mah Jongg and Me and tagged bams, black and white, league, Long Island, mah jongg, mystery, nmjl, Pung Chow, The Art of the Game, Tuttle Publishers, Wright Patterson on March 8, 2014 by Mah Jongg and Me.